The word “overweening” came to mind this morning. I pronounced the “ween” with a whine. Overweeeeening! Now it’s stuck in my head. There’s a nest of baby birds inside most of us. They nibble away at our confidence. If you ask me, this isn’t all bad. Think highly enough of yourself to believe you can lead, but not so highly that you can do it on your own. Resist alternatives. A closed mind points to an overweening leader. Get angry at constructive contrarians. Feel offended at a lack of humility in others. People don’t appreciate your awesomeness when you’re overweening. Agonize over tough decisions. A sleepless night before terminating someone says you have a heart. 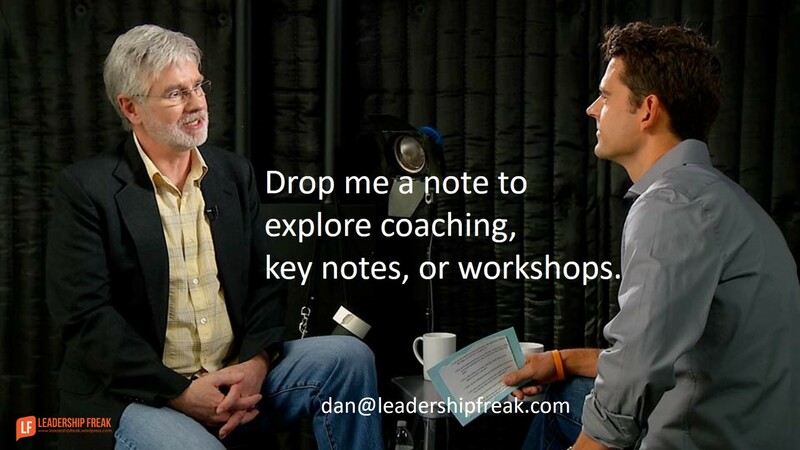 Connect with coaches, mentors, and advisors. Worry about having enough information. You seldom know “enough” to make decisions with complete confidence. Move forward with confidence after making decisions. Take responsibility for decisions, even when they go wrong. Make decisions that others don’t like with compassion. Lack of compassion indicates arrogance. Enjoy being liked, but don’t need it. You’ll probably be too hot or too cold, when it comes comes to confidence. The balance between too much self-doubt and too little is found in connection and compassion. Stay connected with customers, front-line employees, colleagues, the board, coaches, and mentors. 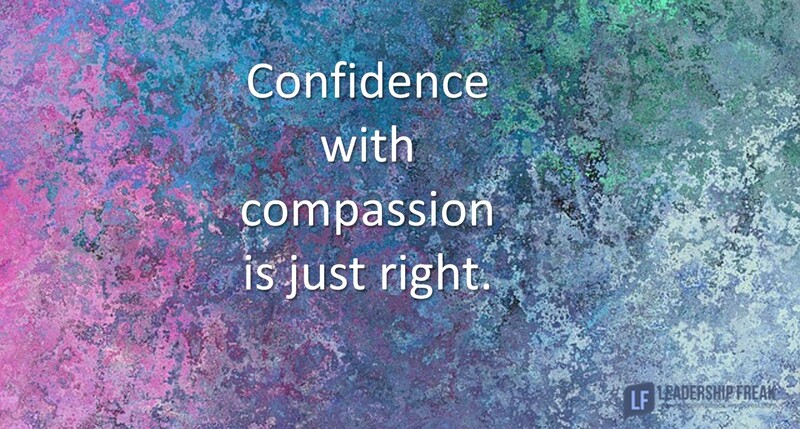 Confidence with compassion is just right. How might leaders navigate the challenge of too much or too little confidence? I was intrigued when I read this post and had to ponder your assessment of balance lying with connection and compassion. If you look at leadership using an inverted triangle where the leader sits at the bottom not the top and leads in upwards fashion I think the word influence might hold a place with connection and compassion. From a confidence standpoint I think you’ve hit the nail on the head with your interpretation of those on either side of the self-doubt pendulum. If you don’t believe in yourself how can you expect others to believe in you? And to take it another step further how can you inspire and influence those looking up to you? I think there is a valued correlation. Finding the bulls eye is challenging as you mentioned. Thanks Bobby. I appreciate your thoughtful response. I like the idea of the inverted triangle. I think it fits with servant leadership. I think connection and compassion are two qualities that indicate confidence is healthy. If I understand your comment, connection and compassion and confidence are essential to influence. ?? Thanks Dan. If I take a step back I think my initial thought was if I look at this from an inverted standpoint (ie. the triangle) with connection on one side and compassion sitting opposite I felt that influence was somewhat of a guiding principle for both. Or maybe at a minimum be mentioned alongside. To shed some light on final thought, my approach was viewing it from the confidence perspective and exploring the process of believing in yourself with others believing in you. Connecting influence by asking the question, if a leader lacks confidence how can that leader effectively inspire and influence. Analytically, I was attempting to apply the inverted triangle model with your thoughts on confidence and the word influence kept coming back to me.